We are told that the corporation once known as Blackwater changed its name to Xe Services, and is now called ACADEMI, but we have no real idea what internal changes in stock ownership or underlying capital actually occurred. A recent blog has opined that there seem to be links between the news owners of ACADEMI (formerly Blackwater) and Mitt Romney financial supporters. revolving door that operates in private intelligence companies in the United States. Government and diplomatic sources from around the world give Stratfor advance knowledge of global politics and events in exchange for money. The Global Intelligence Files exposes how Stratfor has recruited a global network of informants who are paid via Swiss banks accounts and pre-paid credit cards. Stratfor has a mix of covert and overt informants, which includes government employees, embassy staff and journalists around the world. 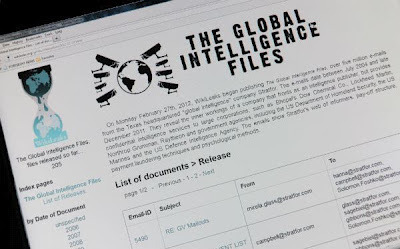 The material shows how a private intelligence agency works, and how they target individuals for their corporate and government clients. The US has been increasingly dependent on private contractors like SCG, outsourcing functions to them that were previously fulfilled by regular troops. 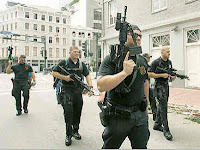 Employees of these “modern mercenaries” provide services like personal and area security, intelligence gathering and recruit training in countries like Iraq and Afghanistan. Critics of the practice say such firms lack accountability and allow the government to carry out “black op” tasks while being able to deny any involvement. From his photograph, Jamie Smith looks like a mere youngster, but he is a popular subject for interviews on television "news" shows like MSNBC, CNN and America Now. Regent University in Virginia Beach, the evangelical school founded by Pat Robertson. And the Navy has no record of him serving. He does appear to have once worked for the CIA, although that is difficult to verify. The CIA does not publicly confirm or deny employment. 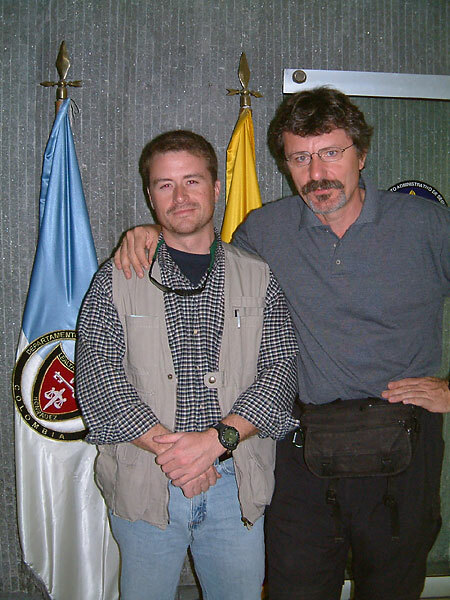 The Mississippi-born Smith first came to Virginia on assignment to Camp Peary, the CIA's training base near Williamsburg, he told The Pilot in 2003. Later, he was a vice president at Blackwater, the Moyock, N.C.-based security firm, in its early years. He left in 2002 under circumstances that neither he nor Blackwater, since renamed Xe, would discuss on the record. Craig Sanford met Smith in 2007 shortly after reaping a financial windfall from the sale of a medical waste hauling business, according to the lawsuit. Smith is said to have portrayed himself as a successful entrepreneur in the security business with "a unique ability to invest funds overseas." Smith is alleged to have guaranteed Sanford a 10 percent annual return on his money, whereupon Sanford turned over $12.5 million in return for a promissory note signed by Smith. Over the ensuing months Sanford received periodic reassuring updates on his investment. But he began to get nervous. The money is invested in numerous places, foreign and domestic and is being managed by qualified, competent fund managers. Jamie is a wizard so no worries there. He graduated from harvard with honors and I trust him with my kids life. Of course we know what happened in October 2008--the Dow collapsed. Six months later Sanford, who was already worried, became frantic when "SCG's attorney called with the news that his money had been 'lost in the stock market.' "
But what is far from clear from Sizemore's article is why the $12.5 million turned over to Jamie Smith, which he characterized to a friend as "a gift from God," is called a "loan" that the borrower is unable to pay "on the schedule originally contemplated." What were the terms set out in the promissory note? Was it really a loan or a money management agreement? Shortly after finishing law school, Smith got a job with a law firm in Flowood, Mississippi--Barnes, Broom, Dallas and McLeod--some of whose partners and associates appear in a directory of Mississippi tax attorneys, but from which directory Smith's name is noticeably absent. Instead, his name now appears on emails published by WikiLeaks about an ever increasingly frightening national security state being conducted by hired guns and mercenaries like Jamie Smith.